Dale’s Heating & Air was named a recipient of the 2018 President’s Award from Carrier. The award provides recognition for dealers in the heating, ventilating and air-conditioning industry. Dealers were honored at a ceremony held in Orlando, Fl. 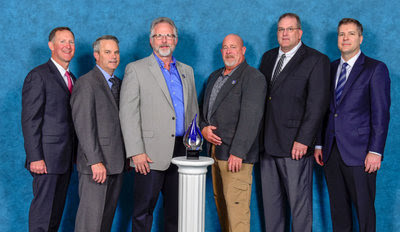 One of Carrier’s highest honors for its dealers, the President’s Award, is given to Carrier Factory Authorized Dealers who achieve excellence in product promotions and delivered superior customer satisfaction. Recipients of this award demonstrate operational excellence, business effectiveness and the delivery of cutting-edge technology to its customers, said officials. Dale’s Heating & Air specializes in HVAC installation, repair, maintenance, and cleaning for residential homes in the Chattanooga area. In addition, Dale’s services comfort systems in Hixson, Collegedale, Cleveland, and Ooltewah. To learn more about Dale’s Heating & Air and its heating and cooling products and services, call 509-8787 or visit www.justcalldales.com.